CNN used the following criteria to judge the desirability of a job. Product Value Chain – these jobs are not on the manufacturing floor but are in the direct chain from when a product is just a twinkle in the eye until the start of manufacturing. 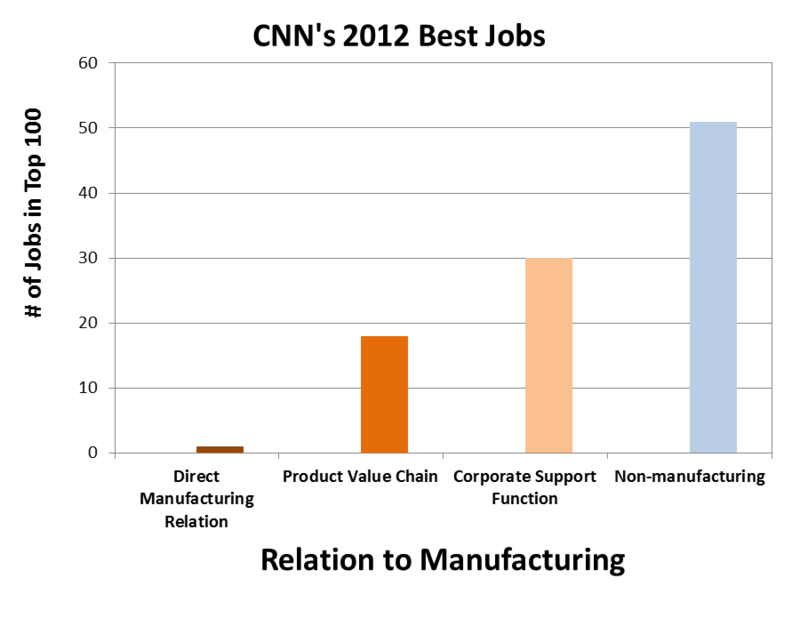 This category also includes jobs between manufacturing and the distributer or end customer. Examples would be engineers, software developers, purchasing, or direct sales. Corporate Support Function – other typical jobs in a product and manufacturing company (e.g. IT, HR, accounting, marketing, finance, etc.) that are not part of the product value chain. Non-Manufacturing – Everyone else. FYI, this is where I put almost all the consulting jobs on the list. Click image to ENLARGE the graph! I am forced to agree with AJ, sadly. I can only find ONE direct manufacturing job, but I find more in the Product Value Chain than he did. Even adding these, we only have 19 jobs – less than 20% of the CNN Top 100 jobs list. The should be extremely concerning to the success of America in the future, if it is indeed true that these are the jobs people will be seeking. According to Manufacturing Executive, the 17 million people who are in manufacturing companies in the US produce $1.7 trillion of GDP (11.7%). Manufacturing also funds two-thirds of private research. So 5.6% of the US population produces 11.7% of the output. The people in manufacturing are TWICE as productive as the average person, in terms of the GDP they produce for the US. Services exists to service manufacturing; manufacturing does not exist to service services. Real value is created by growing something, mining something, or manufacturing something. Manufacturing and technological superiority are what make and keep a nation a superpower. America needs to internalize these maxims. It needs to stop just talking about helping manufacturing in Presidential commissions and initiatives and start DOING something to realign the focus of America where it should be: design and manufacturing. I wish you hadn’t been able to agree with me, too. Thanks so much for spreading the word, and for the mention. My best to everyone at Hiller. AJ – Thank you for your well wishes. Likewise to your practice. Where has all the pride gone in this country ? Yes, without being too pessimistic, I wonder the same thing. My high school history teacher did not really like Reagan, but she said that every President had done one very important thing for the US. For Reagan, she said that he had really made us very proud to be Americans again after a dark malaise. I agree (and I loved Reagan!). However, I think it did not go far enough and has backslid again. Whenever I see a WWII movie or TV show or read about it, you see how unpatriotic and disloyal the general populace is today. My parents volunteer a lot for a local county historical society. This society did a huge 1.5 inch thick book of stories, a couple of years ago, recording the stories of the WWII vets in the county — unbelievable stories of self-sacrifice from ordinary people. And, the sacrifice was not only from the soldiers in WWII. All pitiched in, many through manufacturing. This concern for country included the business world, too. In those days, management considered not only profit and revenue, but how their actions would help or hurt the US. We need to get this America first attitude infused back into the populace. Joe Szpak • I would not pay any attention to anything CNN says they have become a joke as far as the media goes. Glad to see that many of us are finding little value in the media now days. I watch very little news at home becuase I have a 12 year old and I don’t want to expose her to just the negative side of life which is what news channels pray on these days and do so with a lop-sided view and political agenda that further deflates our core values and positive outlook on life. I miss Walter Cronkite’s generation of news casters. 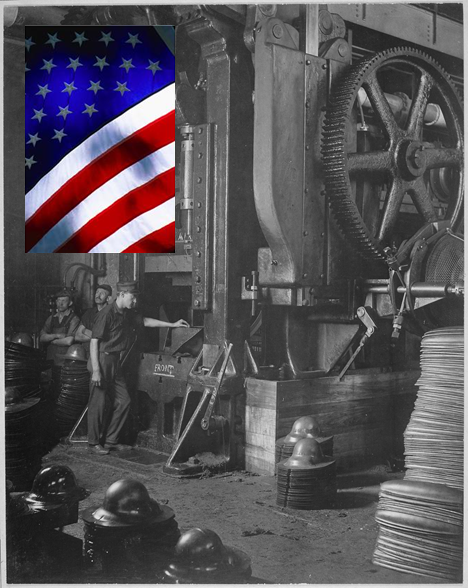 As for manufacturing, it’s not only a great way to make an honest living, but it’s what this great country was founded on and hopefully we continue that legacy. Parents, teach your children what matters most in life as hopefully your parents and peers taught you! Joe McCULLOCH • I agree with Joe S. We have enough trouble getting young people as it is. Joe Szpak, Joe McCulloch, and Robert Philips – You bring a smile to my face, gentlemen. Dave Kocharhook • Thank you, Eric, for you posting. I believe one of the challenges is that political, investment and corporate leaders have a short term view of things. They only tend to see the next quarter, next election cycle or market update. Making the shift to a manufacturing-centric perspective will require longer term thinking and a willingness to think beyond one’s immediate personal desires for money and power. It won’t be easy, but it can be done. “Yes, without being too pessimistic, I wonder the same thing. My high school history teacher did not really like Reagan, but she said that every President had done one very important thing for the US. For Reagan, she said that he had really made us very proud to be Americans again after a dark malaise. I agree (and I loved Reagan!). Dave Kocharhook: Good point. I always find it humbling how people who have immigrated to the US have such high regard for the country. I see it less often in those whose families have lived here for generations. There are many layers to this problem. I’m glad to see people like yourself taking initiative to deal with it. Interesting article. It seems, in my opinion, the “Culture” of Manufacturing is a big underlying issue that needs to be addressed. I dont think its that people dont like manufacturing “things”, its the environment and mindset that typically comes with manufacturing that makes it undesirable. As much as we depend on Manufacturing, seems to be a serious problem to address. Can you elaborate some more. What do you mean by culture? Can you get some examples? How do you think we should change the culture? Seriously? There’s no personal satisfaction in driving by a house and seeing the specialty gutters you made or sitting in the dentist’s chair admiring the equipment that you made or ???? If our youth don’t expect personal satisfaction from making things then we need to STOP brain washing them (and their parents)! I completely agree with you. It is very satisfying when you create something, repair it, or improve it. However, I believe part of the problem is that we don’t reward people nearly as well for designing and manufacturing things as we do for being a doctor, lawyer, i-banker, consultant, or salesmen. All these are necessary careers that can add value to society, but do not added true economic value like manufacturing things does. I don’t know about Manufacturing, but I would not advocate my children to get into any manufacturing jobs dealing with automotive. Way too much stress in the automotive industry. I do think that the shortage of apprentices in manufacturing will cause there to be a good way to have job security down the road, and probably good wages as well. Maybe supply and demand will help correct the wages, but I don’t think it will on the scale we need to help America. Our kids should go into manufacturing if the skill set matches their abilities. We have conflict with jobs being outsourced to China and Mexico but yet hear CNN state an opinion that cuts American culture. I am concerned with the new Health Care requirements and the comments from owners in larger companies that they will be cutting staff to under 100 to be able to afford to stay in business, perhaps CNN is just trying to prep the nation to see more manufacturing jobs go over seas because of the financial issues we will now be facing. American is built on a strong foundation, I just hate to see it start to disappear! Most managers who manufacture medical devices do not have the will to excel at what they do. They call a half hearted effort at World Class Manufacturing when they do not even know what World Class Manufacturing is let alone how to accomplish it. When I did it, the quarterly results jackels were always nipping at my heels and yapping behind my back because they did not understand the concept and commitment of what World Class manufacturing is and how is runs in the real world. Most people do not have the commitment and stones to accomplish World Class Manufacturing. It is all a weakly defined concept to them! So instead we export jobs to China and get lousy quality and low cost but that is not World Class Manufacturing! That is just cheap and dirty manufacturing. Definitely the push for the next quarters results to the detriment of quality and long term goals is a another problem that needs to be addressed. I built and put online, several World Class Medical Device Manufacturing Plants (even one in China!). My day is done and I am happily retired and glad that I do not have to row upstream anymore. It’s hard to argue against facts. However I will try. If someone is looking for a basic job in manufacturing then yes stay away. 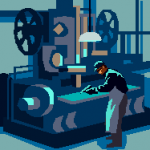 However for someone with education and insight into the principles of Supply Chain Management and Lean Methods, there is a lot of opportunity to take manufacturing to another more competitive level. There are other studies that have looked to the future regarding Supply Chain Management. One study has made a clear argument that manufacturing is in a current state of movement. That is to say that manufacturing is finding its natural settling points globally. What this means is that there is a combination of many things that will drive manufacturing to its’ proper place. These include politics, infrastructure, life style and culture, the availability of skilled people to name just a few considerations. With that, one thing that is predicated is the return of heavy manufacturing to the United States. See note above for some reasons why. Manufacturing is the foundation of an economy and to give up on it is like deciding to be a third world country. The future is much brighter than the article suggests. I intrigued by your comment, but I would like to see some evidence. “Supply Chain Management and Lean Methods” have been all the rage for 15 years, not just in the US, but around the world. What will make the US competitive with China, India, and other low cost countries (LCC)? I definitely think heavy manufacturing needs to return to the US for us to remain a superpower. However, this means both white AND blue collar jobs must be available — likely with 10 blues for every white? The level of automation in today’s manufacturing makes it unlikely that the proportion on blue collar to white collar jobs will ever approach 10:1. That’s why manufacturing contributes twice as much per employee to GDP. It is also the reason it has hard to find enough skilled indivduals to fill the available positions, and the jobs pay well. Interesting article and comments. One thing not addressed is the sad state of education in the US compared to the rest of the industrialized world. Manufacturing today requires skills that are not being either taught or learned. I agree that the automotive business is highly stressful, but it’s also highly rewarding – where else can you see 2,500 different parts coming together 1,000 times per day resulting in a finished vehicle starting up and being driven off the end of the final line every 75 seconds? U.S. media commentary on manufacturing is doing a real disservice if (as it does in news in general) only promotes downside and negative views. This unbalanced and distorted perspective has long-range negative impact on the economy and on individual lives because it dissuades capable people from considering career paths or at least productive jobs in the manufacturing sector. We need MORE, not fewer, people going into manufacturing. There are tens of thousands of manufacturing sector jobs sitting unfilled because industry cannot find capable, qualified individuals to fill them. Sure, no one wants to just be a lever-pulling grunt in a dirty, disorganized old-fashioned factory, but those places will continue to fall away in the face of contemporary competition. So the message should be “avoid – if you can – going to work for a company that makes you part of the ‘8th waste’ of Lean. wherein your mind does not count”. The public needs to be tuned into the fact that if they want to avoid a drudge job then they need to prepare themselves to offer an employer some willingness to work in teams, some communication skills, and ability to learn problem solving and basic technical skills. Working for a firm that values these attributes will provide better income and job satisfaction, along with better job security because their employer – with them contributing – will be competitive. Personally, I love the hands-on part of manufacturing. Early on, I experienced shift work in old dirty, repetitive situations. But those places are mostly gone, and I moved on to a professional career in manufacturing technology that was great in terms of pay and satisfaction from contributing innovative solutions, doing creative work with teams of good people. Now, as a manufacturing educator, should I just email my students to drop their courses in manufacturing technology, lean methods, industrial safety, ergonomics, and hazardous waste management? Hey, let’s all go into the other two wealth-producing areas, extraction and agriculture. Stop manufacturing! Right – so how do we then add value to extracted materials and agricultural crops to meet the food/shelter/clothing needs of the populace? Duhhh…??? Oh, well, we can eliminate agriculture and extractive industries and all go into service industries that essentially just push money around – there’s the solution! So don’t tell everyone to not go into manufacturing. That is a huge field full of diverse activities, products and jobs. Instead, tell people to prep themselves for one of the many non-crappy jobs, and share insight as to how to do that. A point of view from someone born in Africa with a French heritage. “The power of manufacturing”. As a young child growing up in what was then known as Rhodesia (African British colony) products produced in GB & USA the best in 1950-1960. These manufacturing power houses were of high repute. People were quite proud to state that this was made in GB or USA. THEN in the 1970, (flattened by war) with the help of American manufacturing pioneers “Made in Japan” arrived ( not good at first ) but that soon changed in less than 15 years – a manufacturing force to be reckoned with. USA and GB products took a huge down turn. This I know as a young man. USA was almost crippled by this. countries of the East, (The tiger nation) South Korea. Let’s not forget the 1980’s to 2000 ( another guilt TRIP For USA ) so much for charity begins at home. (Hyundai 7 year warranty), embarrassing. We use to set the standard. China via Hong Kong and now the final blow USA GB EU all running to China too willing to hand over our technology. Well do I need go further as a nation or country, manufacturing is respect, it is power, but most important of all it is dignity for the man who is willing to earn his daily bread. The westerner wants the white collar jobs. Which brought us the bank fiasco and many other woes. How do you think the governments of the world are looking to fix this? Yes! The manufacturing sector. ‘O’ no they do not have the money. The white collar workers lost it all, they spent what they did not have. One only has to look at Germany and see who did not sell their birth right. Industry, manufacturing this is what employs………. as mentioned previously, people working in the manufacturing sector are twice as efficient as any other sector when it comes to GDP. White collared workers throughout these other sectors are only 25 to 28 % efficient that is why you need so many people to hold one pen. (By the way the pen was manufactured and not printed.) I am now living in Europe hoping for a manufacturing revival here as Southern Africa has now been plunged by it’s own free will into de-industrialisation and the accompanying poverty the comes along with it. Just saying hello from outside the US of A. Look forward to this discussion. I’ve worked in MFg for a long time. First as a Manufaturing Engineer, now as a Mechanical Engineer. There are three things that I see have driven down Mfg. 1)Corporate Managment views manufacturing as a unneeded complication to attaining profit. Being able to make a world class (percieved) product only matters. Talented mfg personel are viewed as second class workers, even though being a master tool/die maker takes as much time commitment as a MS or PHD. 2)Outsourcing not only provides low cost products from countries that don’t care about workers rights, it also creates a new middle class market for goods in those countries for goods that may have reached saturation in US markets. Corporations get all the profits with almost no domestic mfg. 3)We buy cheap stuff. Regardless of the hype about buying US products, most of us still buy the cheapest item that fills requirement. I still buy US when ever possible, which is somtimes difficult. I still buy US shoes. I don’t think the average consumer can recognize real quality anymore anyway,this is not to say that there are not some fine products comming from overseas now. We have been giving our competitors the oportunity to advanced thier mfg capability for years, both by outsourcing our mfg and teaching them how to do it and by giving them investment capital by buying thier products. The dike has been being overtopped for years and now countless politicians and others are running up to the burms with fingers extended to fill the holes. There are several shows on television (TLC, for one) that document (and entertain us) what it takes to manufacture things. Too bad these are not put on channels such as Nickolodian. Teachers should consider field trips to manufacturing facilities. I took my boys to a pickle factory years ago. One son is now in supply chain management. I’m a tooling engineer, and enjoy seeing a broad spectrum of “how things are made”.